Avocados and Skin Care…Avocados are good for your skin. Avocados are rich in nutrients—such as fat-soluble vitamins monounsaturated fats, various minerals, and essential fatty acids.Avocados have been shown to improve both the health and tone of your skin, as well as eliminate signs of premature aging. Avocados are especially great for skin that is dry, chapped or damaged. Many cosmetic manufacturers add avocado to their products for this reason, but given the fact that the avocados that you can purchase from your local grocer or market are relatively cheap, cruelty free, and contain no added synthetic chemicals, why not use real avocados to enjoy the real benefits of using what might be nature’s best moisturizer. Avocado Body Scrub…Avocados can be easily paired with many different ingredients to make a healthy body scrub at home. Most of the following scrub ideas can be used not only in the shower as a body scrub, but also as a scrub or mask for your face, depending on the consistency of the second ingredient. Avocados and Hair…Avocados are also great for nourishing dry and damaged hair. The following avocado hair mask include smoothing and moisturizing your locks without weighing down fine hair, adding shine, and restoring natural luster to your hair. I could even do that without my glasses on or my contacts in…which is a good thing because I am legally blind, right?! Regular Use…Depending on the thickness, texture, condition and length of your hair, you may need anywhere from 1 drop to 3 drops. Getting the right amount may take some practice. Start with a drop (or for short hair a ½ drop may do) and warm in your palms before raking your fingers through your hair, paying special attention to your ends. Once complete, add a ½ drop to your fingertips and massage into your scalp. Rub any excess into your face, neck or hands. Overnight Deep Conditioning Treatment...Using argan oil once a week as a deep conditioner for your hair will amplify its benefits even more. If you have dandruff or dry scalp, you should probably use this as an overnight treatment twice per week until the dandruff is gone. 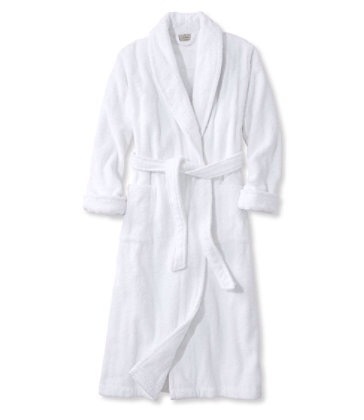 In the morning, wash your hair, rinsing until all residue is gone. Articles On Argan Oil…What Is Argan Oil?! Argan oil has seemed to be a huge buzzword for hair products for quite a while now, but what exactly is “argan oil”? Argan oil comes from argan kernels, which come from argan nuts, which come from argan fruit, which come from argan trees, which come only from the argan forest of southwest Morroco. Seriously, argan trees are slow-growing trees found only in the argan woodlands of southwest Morocco. These trees are so revered by the Moroccans that they refer to the trees as “the tree of life.” In 1998 these argan forests of Morroco were officially declared to be the “Arganeraie Biosphere Reserve,” and the region is protected by UNESCO. For generations, natives of the area have been extracting oil from the two or three oily kernels found inside the nuts of the argan tree…and now more and more products are being produced that have argan oil as one of the main ingredients. So what makes argan oil so incredibly awesome for both your hair and your skin? 1. Antioxidants…Antioxidants are natural compounds found in plant-based foods—such as beta-carotene and other related carotenoids, minerals like manganese and selenium, Vitamin C, and Vitamin E—that fight harmful free radicals. Free radicals are molecules with unpaired electrons. These molecules are unstable and chemically reactive, and simply cannot be avoided. They exist in the food you eat, the air you breathe, and the sunlight shining on your skin. Antioxidants neutralize these free radicals and reduce their harmful effects. These free radicals running rampant in our bodies eventually shows up as aging, fatigue, and even serious ailments like cancer. As you can see, it is important to keep these free radicals at bay in order to maintain good health. Using products with antioxidants becomes more and more important as we get older…(yeah, I’m getting older, hate to admit it)…because our body’s superoxide dismutase (SOD), the natural defense system against such free radicals, becomes less effective…gives these free radicals more and more freedom to wreck havoc. 2. Linoleic Acid…Linoleic acid, is a polyunsaturated fatty acid, part of the Omega 6 fatty acids, that occurs naturally in the body. Deficiencies in this linoleic acid can result in dry hair, dry skin, hair loss, and acne. For this reason, linoleic acid is often used as an emulsifier in the soaps and quick-drying oils. 3. Omega-3 Fatty Acids…Omega 3 is an essential fatty acid, but cannot be sufficiently produced by the body. This acid has to be obtained through proper diet and nutrition…mainly through plant oils—such as flaxseed oil, hemp oil, seabuckthorn seed, and berry oils—and marine oils—such as fish oil, squid oil, algal oil krill oil. As far as skin is concerned, Omega 3 acids treat and prevent skin diseases such as psoriasis, allergies and acne. 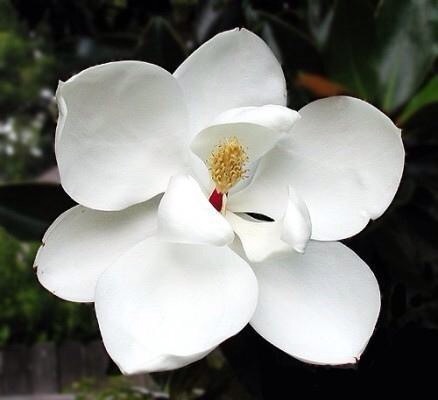 It also acts as a natural sunscreen that helps protect your skin from the harmful UV rays of the sun. These fatty acids also are important in maintaining proper skin tone and helping your skin look smooth, radiant, soft and flawless. As far as hair is concerned, Omega 3 acids are useful for moisturizing dry and brittle hair, treating itchy and flaky scalp or dandruff, preventing hair, maintaining proper blood circulation in the scalp, and keeping your hair strong and healthy. 4. Omega-6 Fatty Acids…Omega-6 fatty acids, just like the omega-3 fatty acids described above, s another element that your body needs, but is unable to manufacture on its own. For this reason, they must also be obtained through either diet or supplements. Both essential fatty acids are an important component of the cell membranes of each cell throughout the body. A lack of these fatty acids can prevent nutrients from entering these cells and wastes from exiting. The acids also create a “barrier against the elements.” A deficiency is essential fatty acids can result in dry skin and premature aging. Vitamin A and Acne…Vitamin A—compounds such as retinol, retinoic acid, retinal and beta carotene—is a powerful antioxidant. Because vitamin A is an antioxidant, it prevent irritants and germs from attacking your skin and causing acne or other infections. Vitamin A helps clear acne by dislodging impurities from pores and slowing excess oil production. Vitamin A and Collagen…Applying Vitamin A products, such as those products containing retinol and retinoic acid to your skin, stimulates the production of both elastin and fibroblasts, the main connective tissue cells that are responsible for developing collagen. Collagen is necessary for filling in fine lines and helping your skin stay smooth, firm and healthy. Vitamin A Deficiency…Vitamin A deficiency results in weak skin cells and dry, withered-looking skin. Deficiency can also cause your hair follicles to become weak and dry, eventually resulting in hair loss and thinning hair. Vitamin And Hair…As far as hair, eating vitamin A-rich foods nourishes and moisturizes your scalp and helps your hair to become longer and stronger.prevent and diminish age spots by regulating the production of melanocytes, the cells that produce melanin, the pigment that gives skin color. Vitamin E is another antioxidant that can be used to improve or maintain the appearance of both your skin and your hair. As far as skin, Vitamin E is a great moisturizer, especially for dry and damaged skin. As far as hair, Vitamin E nourishes your hair and repairs any damage caused by the sun’s UV rays or chemical processes. We all want healthy, shiny hair--free from common hair problems such as static, grease, and limpness–and are willing to change shampoos, styling products, and even how we blow dry or straighten our hair in order to get it. But perhaps the real barrier keeping us all from having this beautiful, shiny hair is an everyday mundane task most of us don’t even think about—brushing your hair..
Are we all doing it right? In fact, IS there really a “right” way and a “wrong” to brush your hair? The answer is “yes,” and the fact is that most of us have been brushing our hair the wrong wYfor our entire lives–down instead of up. Starting at the top of your head and brushing down our strands is actually bad for hair because this could pull the hair out of the follicle…and might eventually make us all prematurely bald. Instead we should all be starting to comb or brush our hair at the bottom and brush our way up. Brushing up allows you to tackle tangles along the hair shaft, but without this risk of pulling the follicle out of its root. To brush your hair in what most of us would call the “wrong” direction, start brushing a few inches from the ends. Once this section is detangled, keep moving up a few more inches at a time and continue brushing sections of hair until you reach the top. Even though, brushing up your hair like this may feel unnatural at first, if it will keep you from pulling all your hair out…(or at least the hair still left after being with rowdy children or rude co-workers)…wouldn’t this be useful? But before even trying to detangle your hair, first apply a detangling product. The detangler will make your hair slippery, and the comb will go right through. 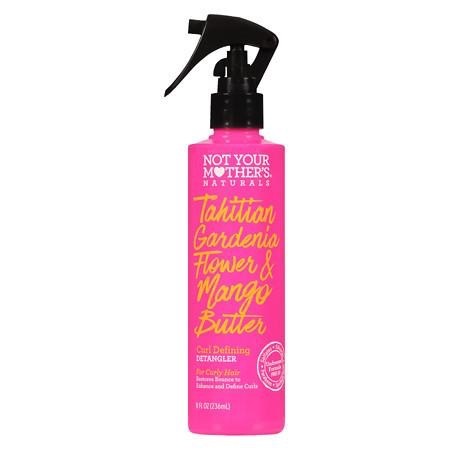 A spray detangler, such as Not Your Mother’s Detangler Tahitian Garden Flower & Mango, works best for fine hair. A lotion detangler, such as Paul MItchell Lite Detangler, works best for “average” hair. After drenching hair with detangler, brush or comb gently. Never yank through a particularly snarled section in an effort to remove any knots. Instead gently remove any knots with a detangling brush, Tangle Teezer, or wide-tooth comb. 1. 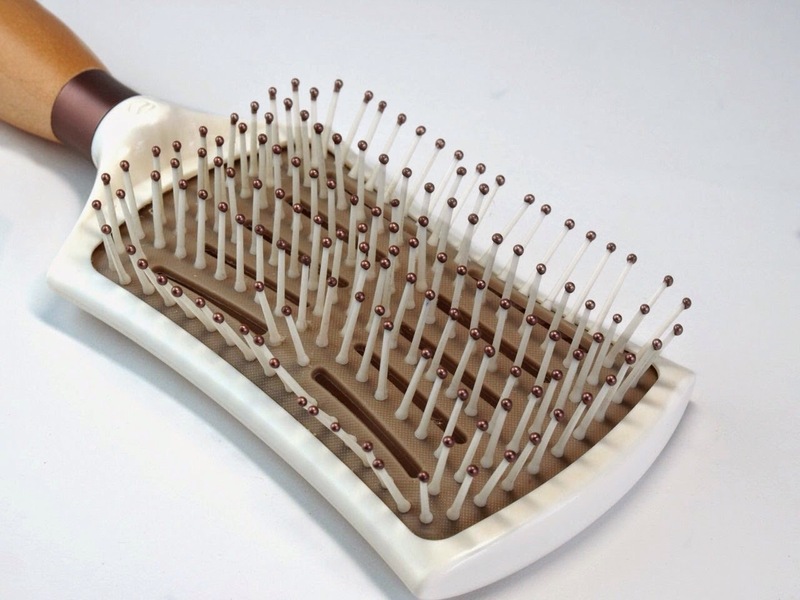 Detangling Brush…The traditional paddle brush is the best type of brush to use when detangling your hair. This type of brush is strong enough to detangler your hair, but is still gentle because the flexible plastic bristles of the brush are spaced further apart, and these brushes have a padded base. A densely-packed brush, such as a boar-bristle brush, will pull on your hair way too much as you try to detangle your hair. This EcoTools Detangler Paddle Brush, is a great option for removing tangles. The EcoTools Detangler Paddle Brush has a sustainable bamboo handle, 100% cruelty-free nylon bristles, large paddle, and a vented cushion to provide maximum detangling with minimal pulling and damage. 2. 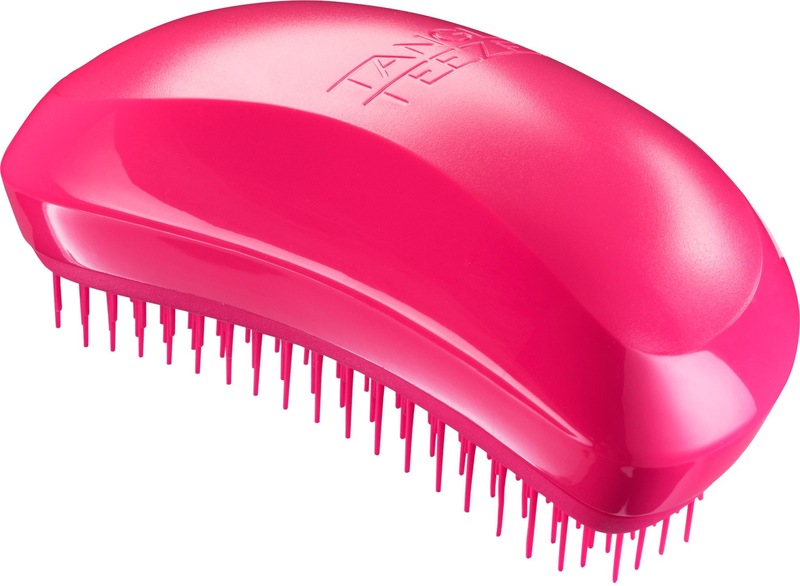 Tangle Teezer …The Tangle Teezer is designed with ergonomically designed handle(?!) to fit snugly in your palm and flexible plastic teeth to make removing tangles and knots quicker, easier, and pain-free… and minimizing hair breakage and cuticle damage. 3. 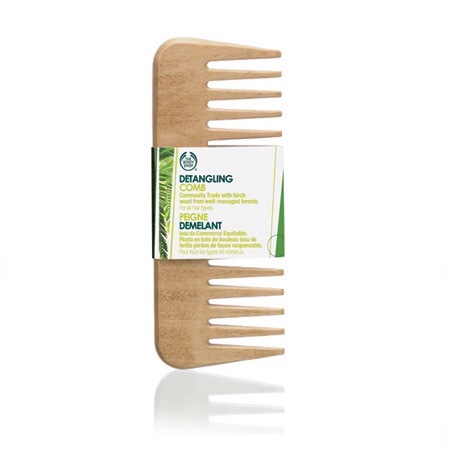 Wide-Tooth Comb…A wide-tooth comb, such as this Detangling Comb from The Body Shop is a third option. If you are going to use a comb to detNgle your hair, make sure that the teeth are spaced further apart. Dry shampoos are so convenient for stretching out those “Messy Hair, Don’t Care” days between actually washing your hair, saving money by stretching out the time between hair appointments, helping you get dressed on yet another manic Monday morning, and helping you look halfway decent after you just worked out. 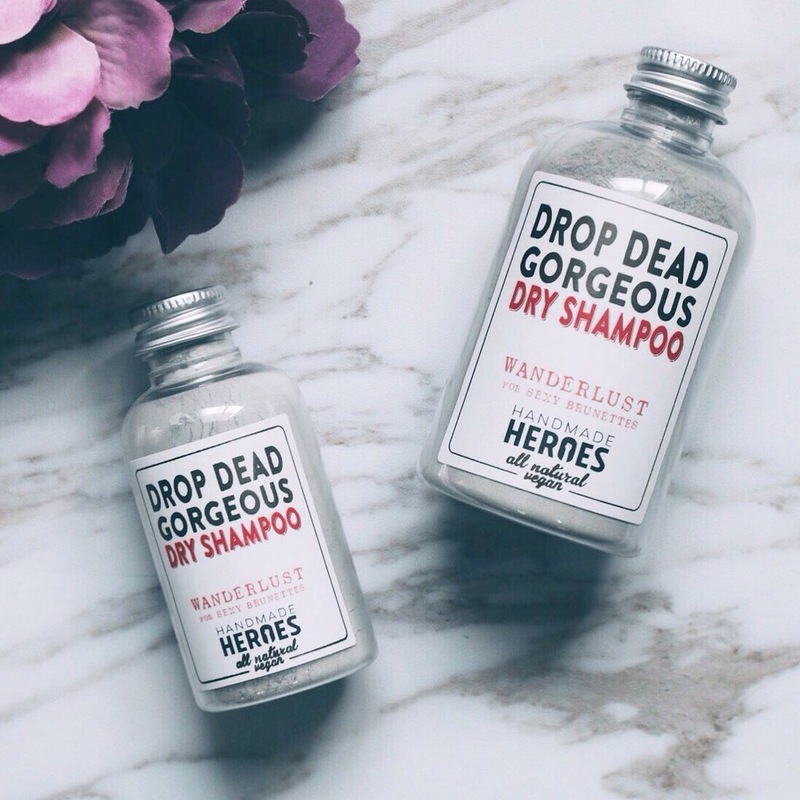 Yet is dry shampoo worth sacrificing your planet-friendly, vegan values or your health? After all, choosing to use a vegan beauty products decreases your carbon footprint, water consumption, and energy consumption. 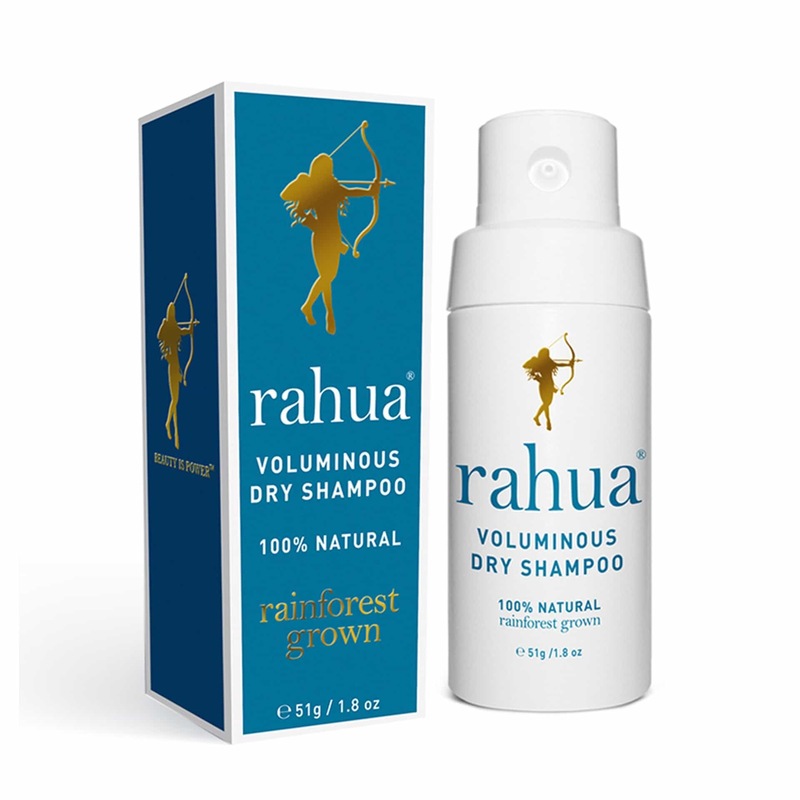 Obviously dry shampoo is to be used as a supplement to traditional shampoo, not a replacement. 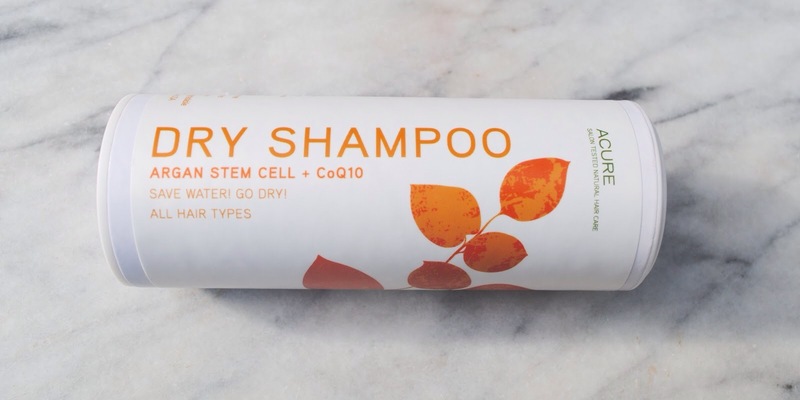 Dry shampoos cover impurities, but may not remove them. 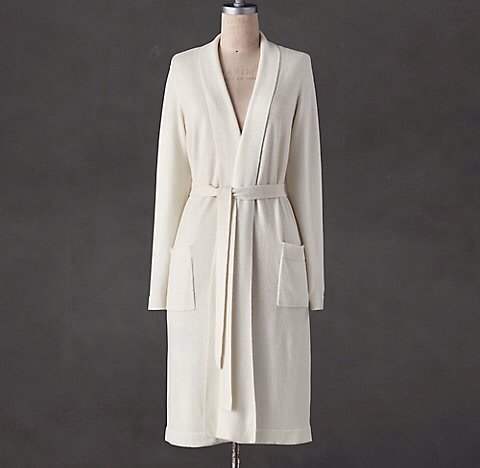 Mission…to provide a product that is not only affordable but friendly to all living things on the planet. 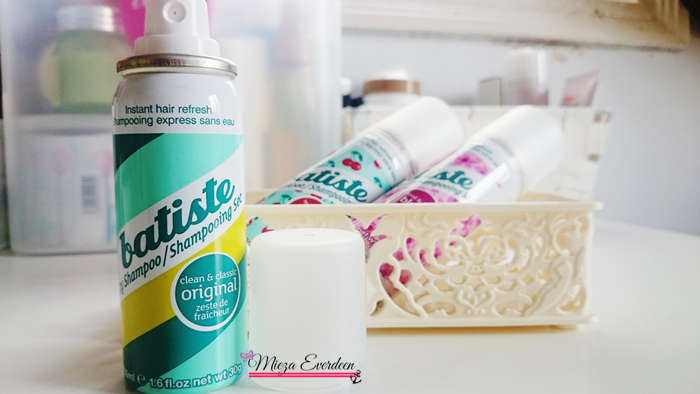 Heat can be your be your hair’s best friend or worst enemy. Heat can also cause serious damage and split ends, make your hair rough and dull and more susceptible to damage and cause your hair to lose moisture faster than it can be reabsorbed from the air, leaving it brittle. And the heat of the hair dryer can be the greatest enemy to the health of your hair. 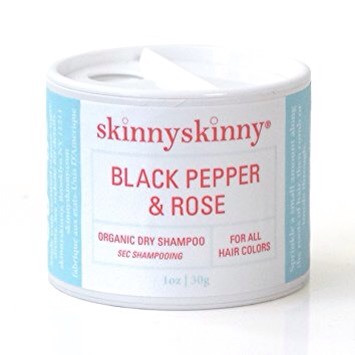 So let your hair air dry naturally if possible, at least partially. Air-drying your hair, instead of blow-drying and heat-styling it, will save you both time spent doing your hair and this risk of damaging your hair. Here are a few simple secrets to air-drying hair and having it actually look like one great big frizzy mess. 1. Air drying your hair doesn’t mean you should skip product…All hair types should follow up towel drying with a detangling leave-in conditioner, a protectant spray or cream or a blow-dry serum…combing it through with a large-tooth comb. 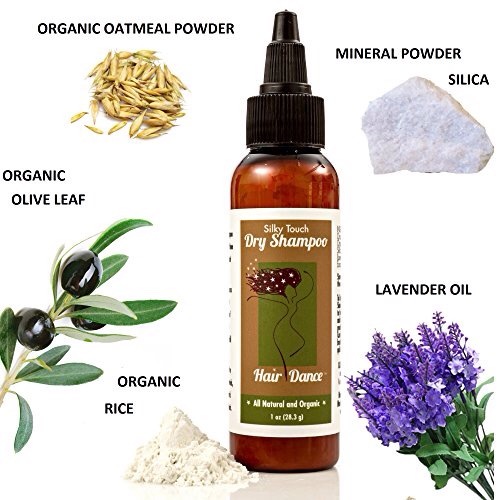 Product will help set the hair, add volume, and reduce frizz and unruliness. If your hair is on the finer side and lacks a true natural texture, also spritz a sea salt spray at the roots continuing through to the ends to help give the hair more volume. Then leave hair alone until it dries. 2. Apply argan oil to damp hair from the mid-lengths to the tips. 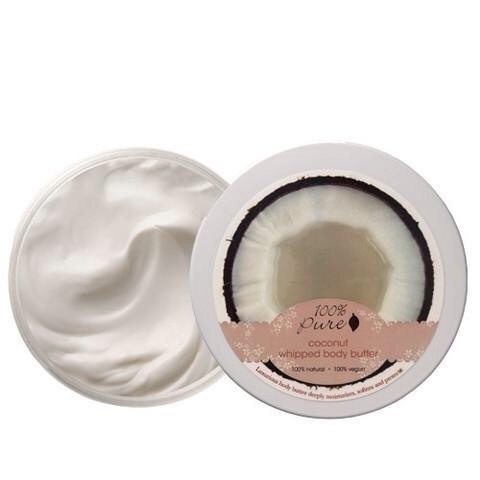 This will seal the cuticles, tone down frizz, keep your hair smelling clean and fresh, and enhance natural waves. 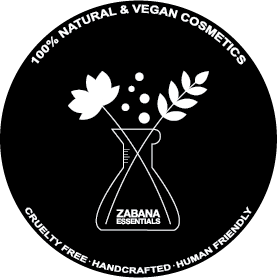 Two quality ARGAN oils worth checking into are…Josie MaraNatha ARGAN OIL…and Zweena Pure Organic Argan Oil. 3. Never brush wet hair…Brushing your hair while wet can stretch the strands, causing damage and splits while it is at its most delicate. 4. 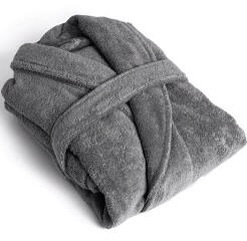 Sleeping on a satin pillowcase will also keep hair from frizzing because satin is gentler on hair cuticles…Although sleeping on wet hair might initially seem like a good idea, the combination of cotton pillowcases and tossing and turning as you sleep can cause breakage, frizz and tangles. Avoid it at all costs. 5. Don’t touch your hair as it dries. …The more you touch, play with, and otherwise mess with your hair, the frizzier it will get. 7. 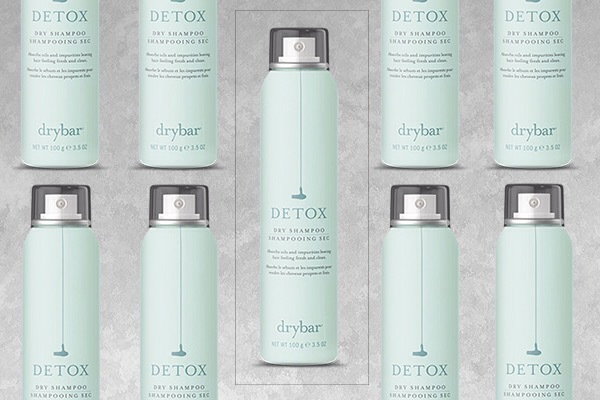 Apply a spritz of dry shampoo to your roots once your hair is dry for extra lift and texture.